Dive into a pristine natural clear-water swimming experience! Are you into clear water swimming, secluded beaches, nature and peace? 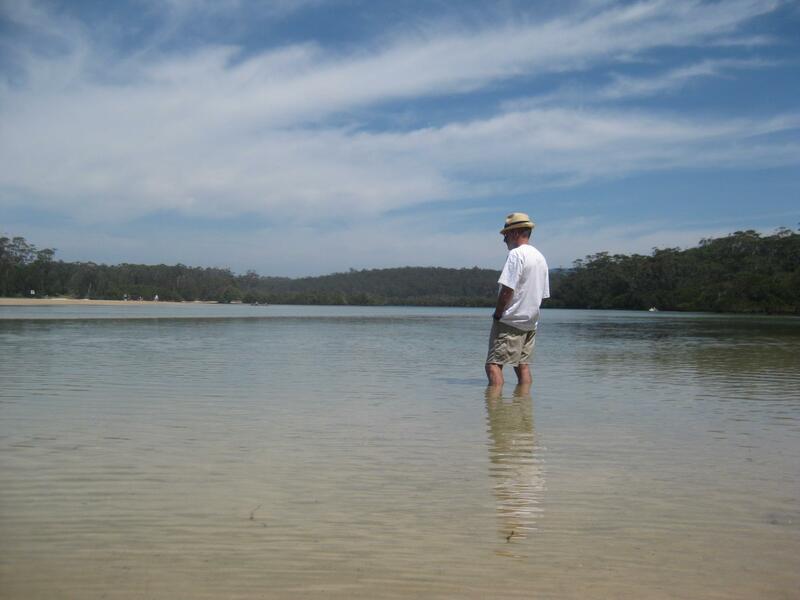 Then take the easy trail directly from The Long Weekend Retreat through National Park meandering through a delightful array of unspoilt coastal forests and waterways to Narrawallee Inlet. The walk is also ideal for birdwatchers, cyclists and bushwalkers who love to get away from it all. As you wind through the forest on foot or mountain bike, be sure to look out for the ancient burrawang palms that hark back to the times of the dinosaurs. The majestic swamp mahogany is an important food source for the threatened swift parrot and regent honeyeater. Don’t forget the binoculars as the remote beaches and pristine wetlands attract a huge variety of waterbirds including the hooded plover, pied oystercatcher and little tern. Another one of our special favourite places on the doorstep of The Retreat.